In the year 2000, I happened to receive a couple of enquiries about lock serial numbers. One of these from a private collector and the other from an antique dealer. I tried to locate the official Chubb Archives but without success so with the help of paperwork kindly copied to me in 1977 I was able to supply approximate dates of manufacture for the serial numbers. Having retired in Dec 1999 and thinking the Chubb Archives were just another casualty of the Williams takeover, I decided to create a year by year list of serial number dates. 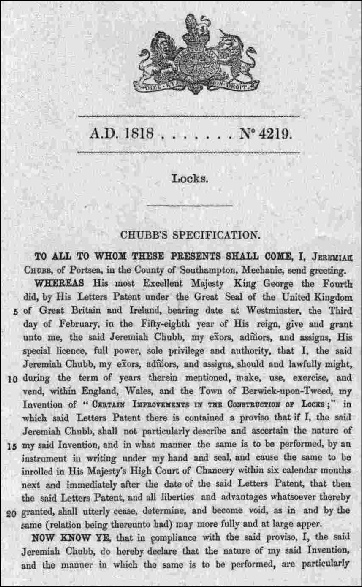 The information on the 1977 papers plus that in other copies of numbers and dates taken from the first two Lock Registers - 1819 & 1820 - enabled me to estimate dates for most of the lock serial numbers. The period from 1828 to 1836 remains a bit of a mystery, due to the bombing of Chubb’s London Head Office during the early hours of May 10th, 1940. 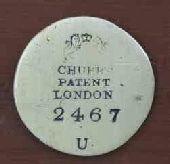 When Chubb began making locks at Temple Street, Wolverhampton in 1819, a serial number was stamped on every lock. The preference was to place this on the Bolt Head but for some locks it was on a plate attached to the lock case. For small locks however, the number was stamped on the forend. Numbering of all locks continued throughout the 1800s; towards the end of the 19th century, Chubb began offering customers the choice of ‘Best Quality’ or ‘Medium Quality’ for some types of lock. From thereon, only the best quality locks were serially numbered. During 1936, with production levels continuing to increase a decision was made to cease lock numbering. 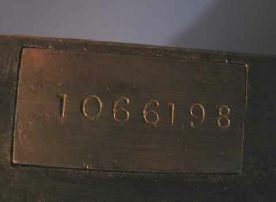 Recording these numbers from the first entry in 1819 (Serial Number 1 - 3½” Iron Padlock made by Jeremiah Chubb), to the final entry in 1936, resulted in a huge number of volumes, all stored at the Wolverhampton Factory. Just before 1939 the Registers for the period from 1819 to early August 1836 were transferred to the Head Office in London. As already mentioned, the office was damaged during the blitz and the registers covering the period from July 1828 to August 1836 were amongst items destroyed. Those that survived were held in the various London Head Office addresses occupied from 1940 - 1980 (see Chubb Story for details). The balance of the registers remained at Wolverhampton until the company decided to collate all the registers at their Head Office in Tottenham Street, London, in 1971. When the Chubb Group moved to The Manor House, Feltham, Middlesex in 1980, an official archivist was appointed and the ‘Chubb Archive’ collated at this address. The surviving registers and those from Wolverhampton were at last re-united. Bearing in mind the age of the Company and its growth, especially during the decade from 1955 - 1965, the Archive comprised an enormous collection of documents and artifacts. A few ‘special’ items were on display at some of the Chubb Offices. 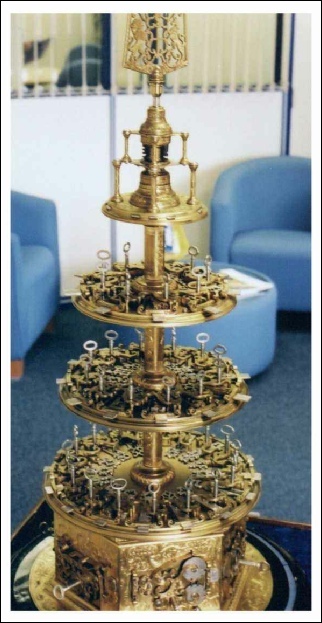 From personal experience I can confirm that the Aubin Trophy, a Chubb 17 Lever Lock (with three separate Detector mechanisms) made for the 1851 Exhibition and the document confirming the Duke of Wellington’s purchase of Locks for Apsley House, London, were all on display at the Wolverhampton Offices between 1987 and 1997. When Williams plc took control of Chubb in 1997, the Archive Office was located at Leatherhead, Surrey. The post of Archivist was vacant and archive enquiries were handled by whoever was available. With the closure of this Office, the Archives were bundled into many cartons and moved to Williams’ H.Q. at Derby. At some point during 1998, a decision was made to donate the Chubb Archive to the Business Archives Council whose offices were in the City of London. The cartons and contents gathered dust for the next 18 months or so before the BAC asked the Guildhall Library for help. Agreement was reached for the Archive to be transferred for safe keeping, but ownership would remain with the BAC. Note: See ’Latest News’ page for update. Sincere thanks are due to Lord Hayter for establishing the movements of the Chubb Archives between 1997 and 2000.